Experienced in Plesk Windows and Website panel. Pre Installation setup via KVM or IPMI. IIS management, administration & support. Application of patches and updates. Comprehensive Disk & User Management. Local security audits and protocols. Stringent Server Hardening and Security. Administration- IIS 6.0 & 7.0. We support control panels like Plesk and Websitepanel which are compatible with windows. We recommend using Windows 2012 Web & Standard Edition for web hosting. Non-control panel windows application or SQL server supported. 24x7servermanagement guarantees quick feedback for Support Tickets. Your server will be first audited and then server hardening will be done. Initiate server scanning as well as schedule a periodic scan on the server. Schedule a timely data backup and restoration of IIS, if asked for. Our team will pro-actively install and configure the firewall. We will schedule a task to do a periodic backup of the complete server as well as database server. Our experts will verify the latest security updates, check the patches, and install them on your server. We keep a check on your servers for spam or any suspicious activities. As well, we perform a system reboot on your request if required. The new plesk platform comes with a support for lot of new extensions. We will will install these extensions for you as needed, these extensions include WP toolkit, Dockers, etc. Your server may be down because of hardware or boot failure. In such events, our team will work to bring it back online as early as possible thus avoiding downtime. We can also assist with crash drive recovery and migrations. Windows Server Management : Simplify | Manage | Consolidate. Enterprise IT solutions are critical for key business needs. Businesses running critical data, complex applications and demanding consumer requirements need the power of windows server management. 24x7servermanagement simplifies and automates server administrative functions for crucial processes, be it Web server, Mail Server or SQL database server, our technical support team optimizes performance to garner greater productivity. Data and information are the most critical touch points and businesses heavily rely on them to improve communication & collaboration, enhance business strategies and sales as well as optimize availability of resources. 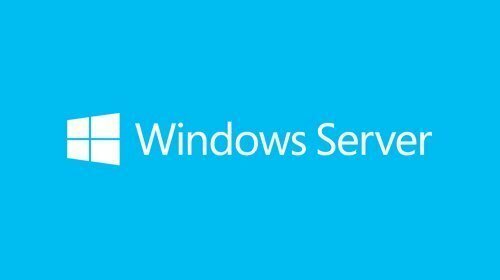 Windows servers are versatile servers which are compatible with a multitude of platforms like ASP.net, Microsoft SQL Database, PHP, MySQL, Microsoft IIS web server and lots more. These servers are flexible & scalable as they can handle multiple enterprise-level deployments for various business collaterals.